Mysterious cracks are appearing in some of the oldest buildings and biggest tourist draws in Halifax. 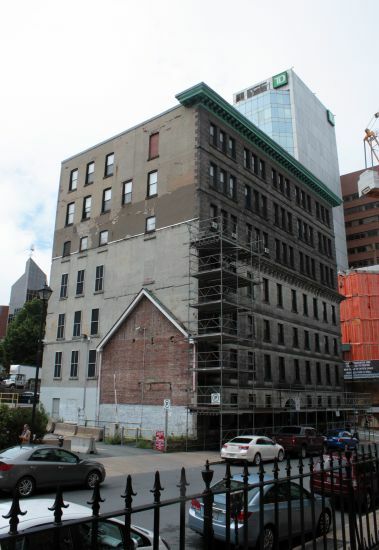 Now the building owners are questioning whether blasting at the future site of the Nova Centre has anything to do with the damage. Seven buildings, including four that are provincially-owned, have sustained unexplained damage since blasting began at the convention centre site in January. 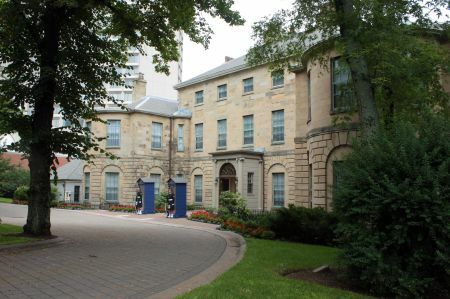 According to documents obtained through a freedom of information request, the province is looking into whether blasting caused damage to the Dennis Building, Government House, One Government Place and Province House. The owners of St. Paul’s Anglican Church, St. Mary’s Cathedral Basilica and The Carleton are also keeping tabs on damage noticed since blasting began. View a slideshow of the buildings and damage. “If a small crack opens up in a masonry building, it may hardly be noticeable today, but water may get into that crack and in 10 years time it may have done serious, possibly irreparable, damage to that building,” Pacey said. Cracks have also appeared at the Queen’s official Halifax residence, Government House. A three-year $6.25-million renovation of the building was completed in 2009. “We need to start a claims process for reviewing this cracking,” director of risk management for the Department of Transportation and Infrastructure Renewal Bruce Langille wrote in an email to department staff on May 6. AMG Claims, an independent adjustment company, and provincial engineers have taken videos, photos and notes of damage in the buildings. According to their findings, the cracks are superficial and don’t affect the structural integrity of the buildings. A provincial spokesperson said Friday the government has not started a claims process yet. “We did notice some cracks but, as these are older buildings, we’re not certain the cracks are a result of blasting or simply due to age,” Pam Menchenton wrote in an email. Menchenton said the province installed vibration monitors in the buildings after blasting began. 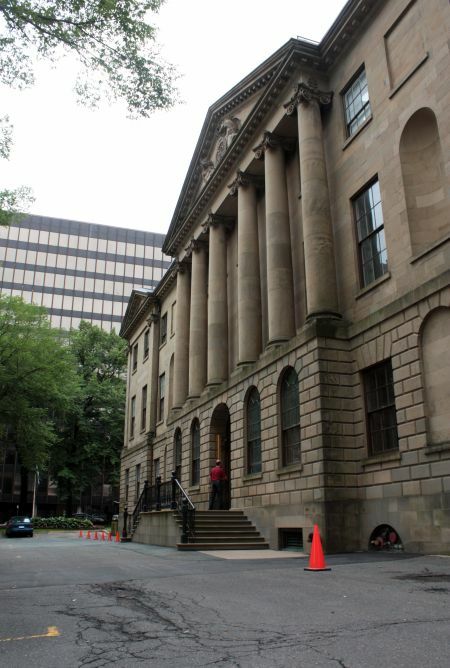 Emails from provincial staff indicated they removed the monitor at Province House before May 6. On Jan. 9, K&M Inspection Consultants Ltd. sent notification of blasting at the Nova Centre site. 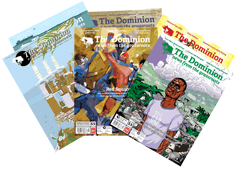 The province did not conduct any pre-blast surveys, Menchenton said. 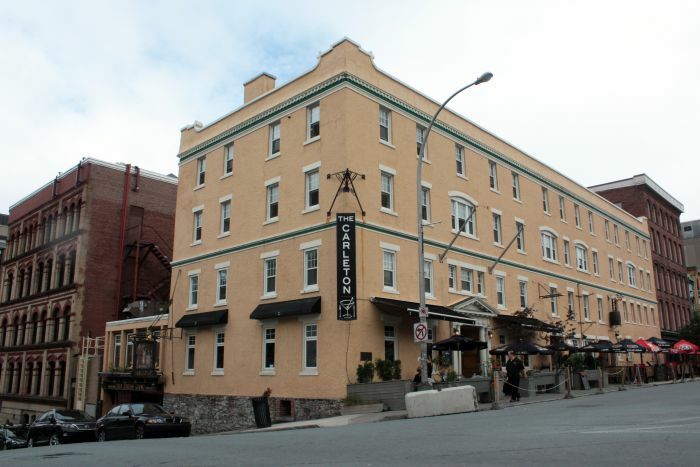 At The Carleton, located in a 254-year-old building across the street from the Nova Centre site, co-owner Mike Campbell has noticed mortar dust falling out of the walls at a faster rate than usual. Recently a “golf ball-sized” piece of the wall fell out and hit a customer on the shoulder, he said. The sandy filling between his patio tiles is shifting, and the venue’s electrical equipment has been going inexplicably haywire, too. Now, the co-owner is giving customers pins that read: "I had a blast at the Carleton." None of this bothered him much. The damage is small scale and he’s dreaming of the business the convention centre will bring once it’s built. Dexter took a pre-blast video of the interior of the bar; if any major damage appears the landlord will have evidence for a claim, Campbell reasoned. 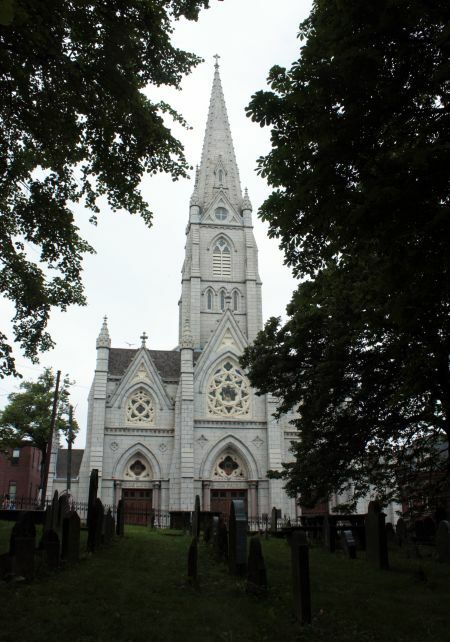 In April, local media outlets, including AllNovaScotia, reported St. Mary’s Cathedral Basilica staff were probing a possible link between blasting and damage at the church. Of the seven buildings that have reported damage, St. Mary’s has the largest number of new cracks. 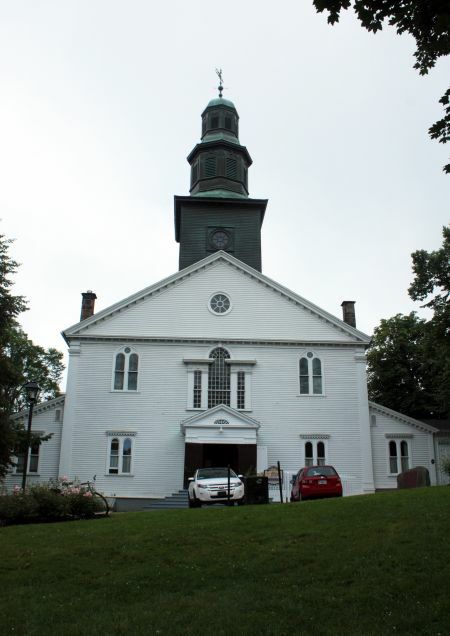 Aurea Sadi, spokesperson for the Archdiocese of Halifax-Yarmouth, told the Halifax Media Co-op staff are reviewing a report of the damage and have not yet decided how to proceed. A maintenance person is keeping close track of new and widening cracks, she said. Representatives of another church, St. Paul’s Anglican Church, declined to comment for this story. However, a staffer pointed to new damage on the church ceiling and indicated the cracks and chipping paint had occurred recently. Dexter, the contractor responsible for the blasting, has created an inventory of damage reported in nearby buildings and is monitoring the situation. The Nova Centre hole is about as deep as it’s going to get, Dexter site manager Brian Reimer said. 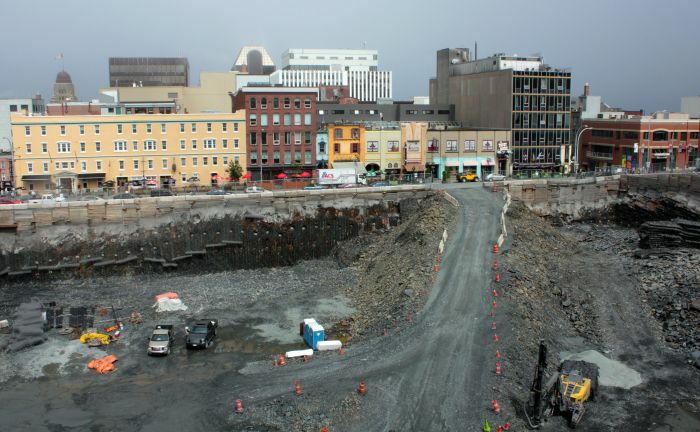 Currently the hole is 70 feet deep on the Market Street side and 35 feet deep on the Argyle Street side. Blasting engineers are now cleaning up the edges, he said. Reimer expected blasting would finish in mid-August. HRM recently extended Dexter’s blasting permit until Dec. 31, 2013. Representatives of The Khyber, Citadel Hill and St. Matthew’s Church said they hadn’t noticed any damage since blasting began. 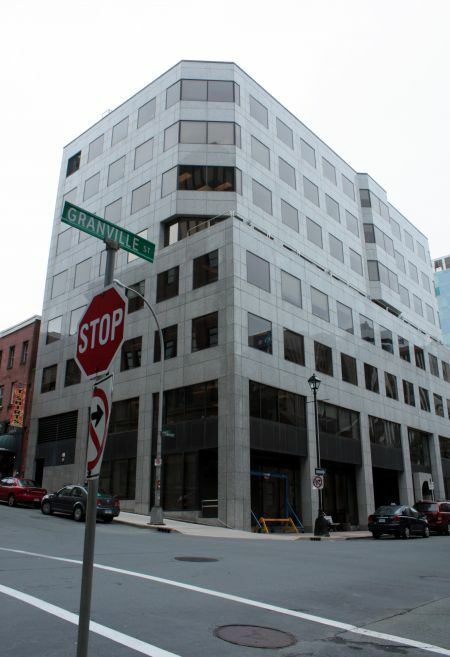 The province has committed $56 million to the Nova Centre project.